My mom and sister just came back from their week-long Japan vacation. Before they left, my little girl told them that she wanted a Disney princess costume particularly Belle of Beauty and the Beast or Princess Aurora of Sleeping Beauty as a souvenir. Before we left our house, I saw her practicing her curtsy in front of my full-length mirror in my bathroom... so cute! As we were walking towards the mall entrance from the parking lot, she was holding her gown like a princess would ; p She was even walking like a princess. She really has one big imagination! 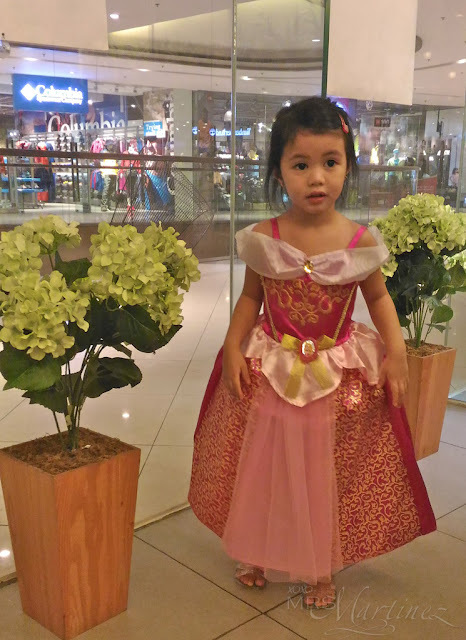 Speaking of princess and imagination, does your little one have a big imagination with a tale to tell? Do they love to create stories featuring pirates on high seas, spacemen who have aliens as bestfriends, or even brave princess just like Sofia the First? If your answer is a big Y-E-S, Disney Junior wants to hear them! Disney Junior will select three magical story submissions and bring them to life, and show them on Disney Junior! Visit DisneyJunior.Asia/AnimateYourImagination for more information. Don't forget to tune in to Disney Junior to see the animations! Submission of entries is until June 12, 2016!